Test your students’ level of English online. Save time with automatic marking. Instantly view the results: CEFR level, numerical score and more. Then use the results to place students in the right class. 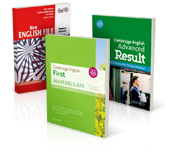 Try free samples of Cambridge English Qualifications A2 Key, B1 Preliminary, TOEIC®, TOEFL iBT®, and Polish national exams. Manage exam practice with our easy-to-use online Learning Management System. Assign online practice tests with help including instant feedback on answers, exam tips and an integrated dictionary, OR without help as a mock exam. Save time with automatic marking. Easily identify areas of weakness to focus on in class. 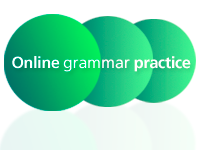 Automatically marked, traditional grammar practice for your students.